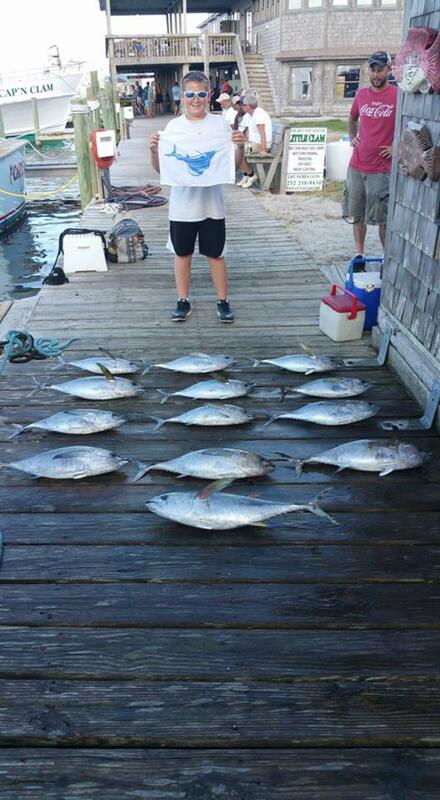 Hatteras Fishing Report for 9/22/2016 -- After dodging a few water spouts this morning we found smoking tide on the rocks. We did manage to scrap out a decent catch of blackfins and 1 yellowfin before the morning bite shutoff. 1 for 2 on sails for the afternoon took in the rest rest of our day. Good reports from down south no tide plenty of dolphin and some more blackfins and yellowfins.